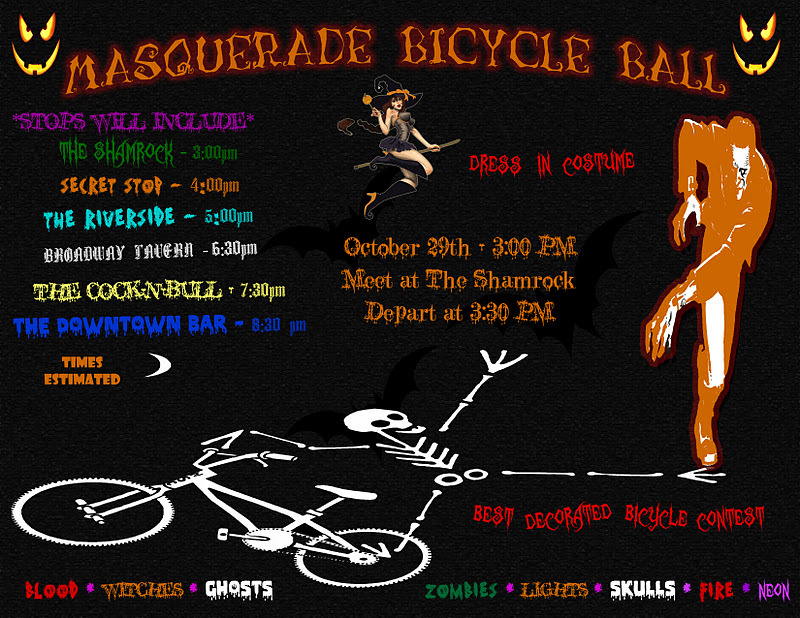 Join us for a fun night of bicycle related Halloween festivities. 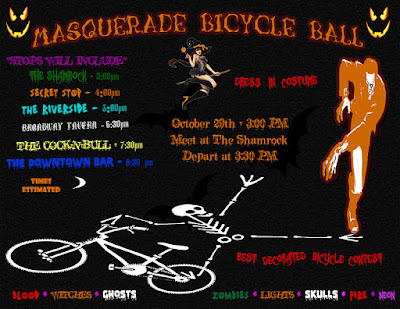 Dress up yourself, dress up your bicycle, and ride around Pueblo with a group of fun folks, visiting a few local bars along the way. The ride will end at The Downtown Bar and the party will continue there into the evening while listening to the great sounds of The Ghost of Mike Clark.